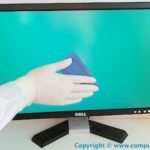 If you are looking for Computer Cleaning Company to participate and bid against your tender you can contact us with the following information. 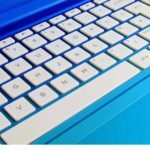 We provide professional computer, keyboard, monitor screen and office telephone cleaning service on the commercial scale in London and nationwide in the UK. 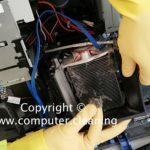 Computer Cleaning invites all sort of tenders, some of them are outlined below. This is a mechanism for ensuring good value for money and fair competition, which is a legal requirement. Failure to run a fair or legally compliant tender can result in court proceedings, delays in projects, cancellation of contracts etc. The tendering process can clarify the objectives and requirements of the project. Get the information you need to make a decision on which solution to buy, or which solutions to reject. Get full technical information from suppliers, not sales talk and patter. Get a more realistic price for the solution than salespeople will quote. Procurement can advise whether a tender (mini-competition) needs to be run, or a direct call-off can be made. It is possible that you will be in a situation where only one supplier can meet your needs – could be for compatibility reasons or one supplier offers a unique proposition. Procurement has a Single Source Authorisation Form which should be completed and submitted to Procurement for authorisation. The aim is to get the ‘best value’, ie a good balance of quality and cost, not the ‘perfect solution’. The aim is not necessarily to get the cheapest solution as the cheapest may not meet our requirements as well. Be open to novel solutions – don’t make criteria too narrow nor list too many desirables as requirements. There is the opportunity here to encourage innovation from suppliers. Total cost should be taken into account, not just the initial outlay for the product – how much will future license extensions cost, how many extra resources will we need to employ etc. The aim is to benefit from competition, but not necessarily to squeeze the suppliers to the limit – with most purchases it is important that there is an ongoing relationship. If you get a good price only by heavy squeezing, then future costs are going to be higher once you are locked in. All decisions should be recorded, all dealings transparent and auditable. Assess long-term costs & consequences – is it worth it? Will the simpler software which provides 80% of what is wanted really be worse than the product which can provide 100% in theory but may be too complex to use? The amount of work involved should match the value of the tender. Take advice – there are good ways of saving effort for yourself and the suppliers. Keep things moving – the technology, and often the requirements, are always evolving so the longer the process takes the more problems there may be in selecting an acceptable solution. 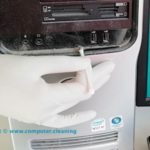 In certain cases, computer cleaning can’t be risk-free. Ensure you have support for the tendering and the selection from management and users. In particular, ensure technical issues are understood and accepted. Buying from a market leader will reduce risk, preferably from a supplier whose market share is increasing. However beware against discriminating against small and medium enterprise companies, who are often the ones who can introduce innovative solutions. Where appropriate do piloting of preferred system/s. It is worth spending time and resources to avoid risking much larger amounts by committing to a bad solution. Be prepared to pull out, even at a very late stage. It is not a failure of project management when a project has to be stopped or the direction changed – indeed it is one of project management’s most important functions. No contracts are formed until the supplier has accepted our purchase order or other signed agreement for supply.